Rimobolan is the steroid of choice for bodybuilders during dieting and competition preparation. 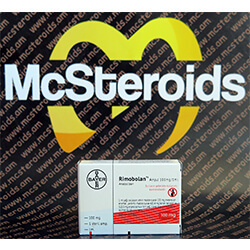 Rimobolan, treat or more commonly known as just “Primo” for short in the bodybuilding community is brand name for the compound, Methenolone Acetate. It is perhaps one of the most popular choices among those who wants least side effects, or those who are on a cutting cycle, or a clean bulk cycle. 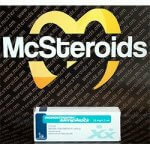 Primobolan or Methenolone Acetate comes in the form of either oral or injectable. While the oral derivative works just as well as the injectable form, it could be quite toxic to the liver, so those who have existing liver problem or want to avoid one, it is best to avoid taking not just oral Primobolan, but oral anabolic steroids as well. Unfortunately, due to the existence of many other anabolic steroids, Rimobolan is considered to be a fairly weak anabolic steroid. 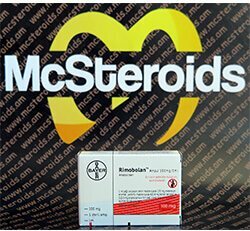 On paper, compared to the other anabolic steroids, Primobolan has low anabolic/ androgenic scores which makes it one of the weakest, although, it is stronger than Masteron. 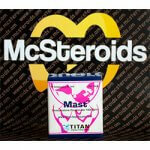 Many experienced bodybuilders would agree that Masteron and Primobolan are quite comparable, and this makes Primobolan a popular choice of cutting steroid. Although considered to be a weak steroid, Primobolan or Methenolone Acetate has one unique advantage over most of the other steroids manufactured, and that is the fact that it is fairly strong than testosterone when it comes to binding the androgen receptor. 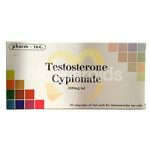 Furthermore, since it is a dihydrostestosterone (DHT) related AAS, it is considered to be a great help for fat loss. Primobolan or Methenolone Acetate also has the rare quality of being a non-aromatizing steroid, which means if you are on a primo cycle, you do not need to add in any SERM or aromatase inhibitor (AI) to your cycle. Because of this, Rimobolan was a popular choice among bodybuilders in the 70s and 80s simply because they did not have anti-estrogen, aromatase inhibitors or SERM available. The only downside of Primobolan is that it is expensive. Due to its lack of estrogenic activity, this makes Primobolan free of side effects such as acne, aggression, oily skin, gynecomastia and many more.  And since it is considered to be a mild steroid that can still produce slow but noticeable gains, it is the perfect anabolic steroid for beginners. It is also the perfect steroid for those who wants the benefits of anabolic steroids, but do not want to suffer from its nasty side effects. Primobolan is usually used during cutting, where it is able to help you lose weight by burning fat, and at the same time help to preserve your muscles. Primobolan also helps to improve nitrogen retention, it means that your muscles will absorb more protein efficiently in order to build muscle. 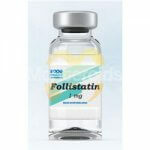 It also has an anti-catabolic property, which helps to preserve muscles even under a caloric deficit diet. According to research, Primobolan or methenolone acetate has a track record of helping users put on a little muscle mass even during cutting! While gaining 2lbs of muscle in 4 weeks isn’t that much, at least it is still muscle mass gain! 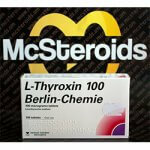 Oral Rimobolan or Methenolone Acetate is toxic to the liver. Although there are no report of estrogenic side effects, Rimobolan might cause hair loss. It will also still mildly slow down natural testosterone production, but that can be countered with proper post cycle therapy. The biggest downside of Primobolan which hinders most bodybuilders from using it is the fact that it could be quite pricey to go on an effective cycle. Besides that, there are a lot of fakes on the market today due to its high price, which are sold at cheaper prices.